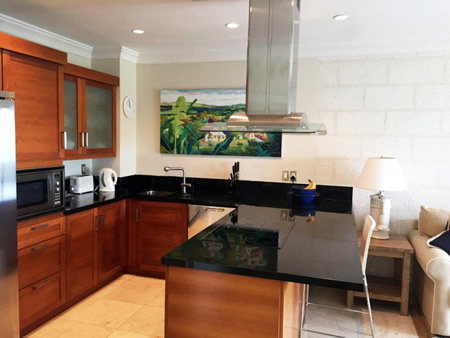 This stylish and well-appointed one-bedroom, two-bathroom apartment overlooks tropical gardens, a 40 metres long lap pool which holds 50,000 gallons of water and the pristine beach of Paynes Bay on the West Coast of Barbados. 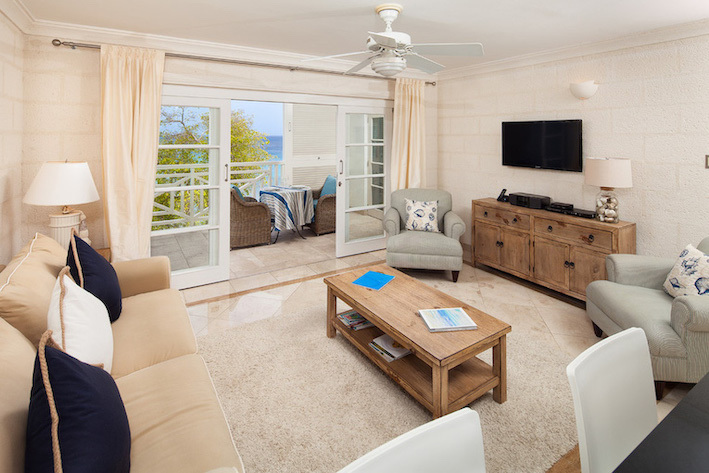 The décor’s restful driftwood, sand and sea palette draws attention to the sole purpose of this chic and spacious unit – relaxation. 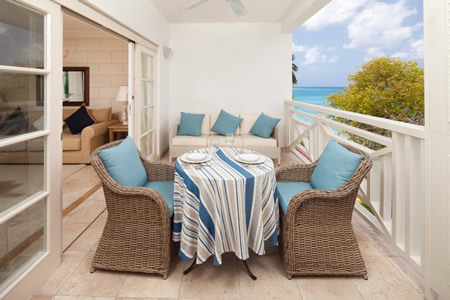 Splendid Caribbean Sea vistas can be enjoyed from the open-plan living/dining room and the intimate terrace – just the spot for apéritifs in the evening. 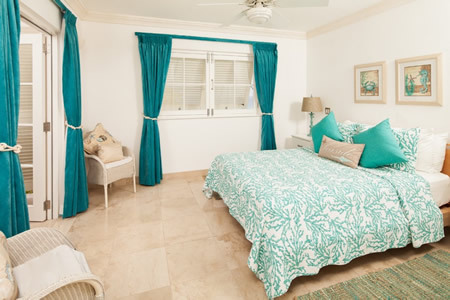 French doors also link the patio to the air-conditioned master bedroom with a beautiful marble en suite bathroom. 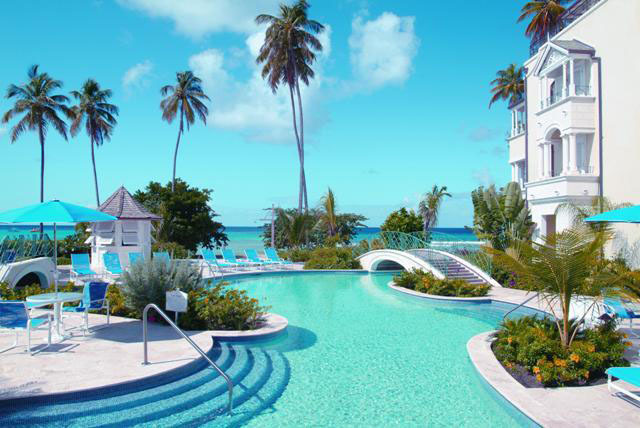 Good to Know: Keypad access to the main entrance and to the beach from pool deck. 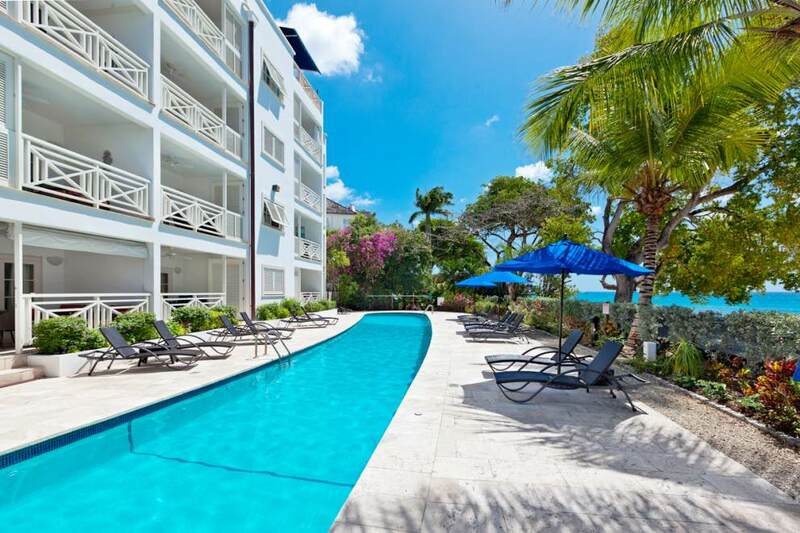 On-site amenities include gym and lap pool with deck. Underground parking and access to floors by elevator. Smoking not permitted indoors. 24-hour Concierge service. 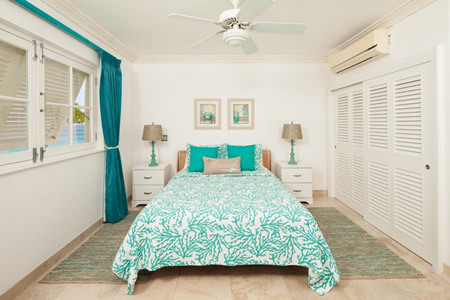 Favourite Features: Stunning sea views from patio and living/ dining area. Only a 5-minute drive from lively nightlife and amenities. 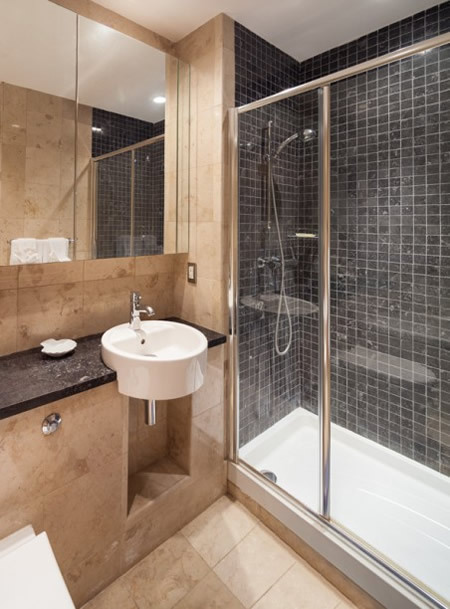 Gorgeous, high-quality finishes make this apartment truly comfortable. 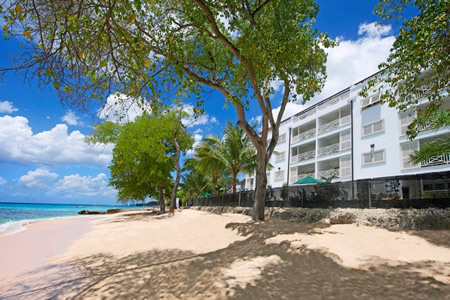 Steps from pristine beach of Paynes Bay at the shared lap pool. 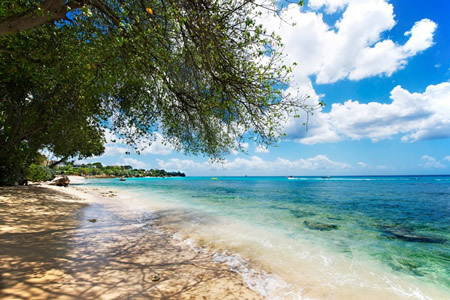 Short trek to some of the finest dining and the famous Sandy Lane Hotel. 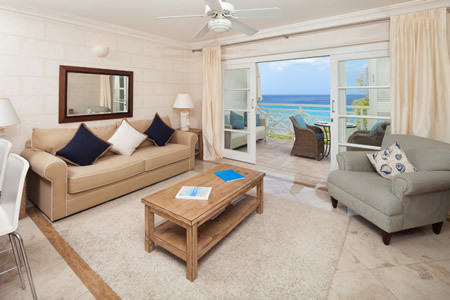 A beautifully furnished one bedroom apartment, located on a magnificent west coast beach great for swimming and snorkelling. 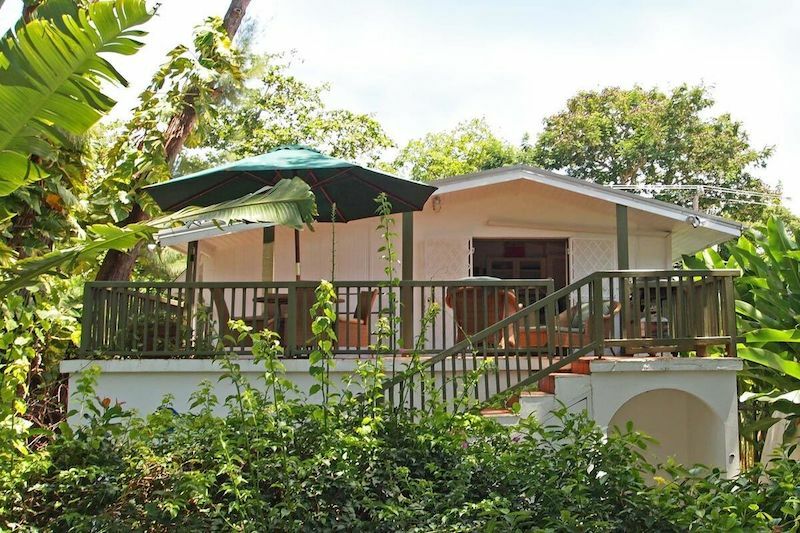 A charming self-catering one bedroom villa offering your own private hideaway on a beautiful stretch of beach on Barbados' west coast.